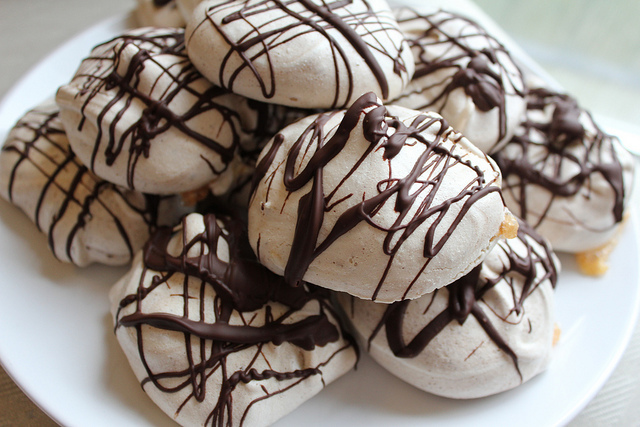 I love meringues. Genuinely, I adore them. I love eating them on their own, I love crunching them up and eating them with cream and fruit, I love piling yummy things on top of them and eating it all with a spoon as big as my face. I just adore them. 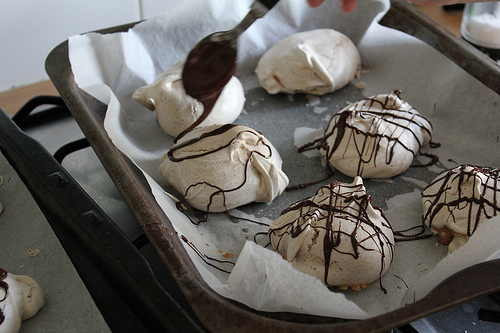 And the only thing better than meringues is chocolate meringues. 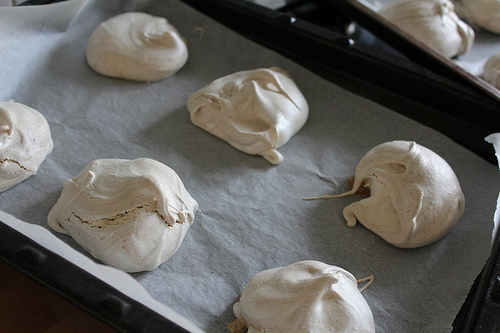 This is my fail-safe meringue recipe. I’ve made them several times and they’ve always been perfect. 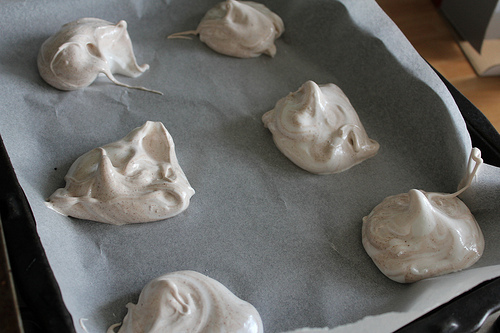 I’ve made them for other people twice — the first time my friend confiscated them so she could eat them the next day and the second time they were declared to be “The best meringues I’ve ever had. Everything a meringue should be”. This should be a fairly comprehensive, but if you need help my how-to video is below. 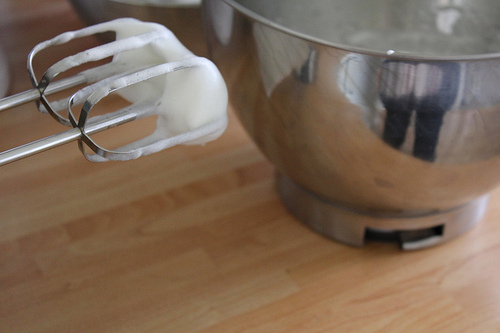 You start by whisking the egg whites until they’re stiff, then gradually whisking in sugar. 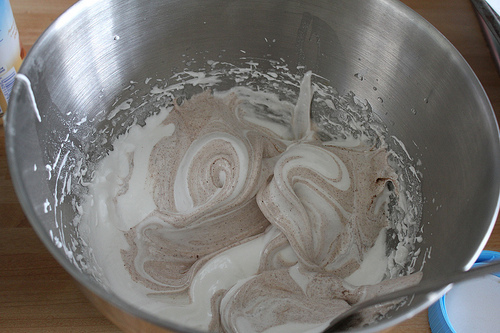 Then you just have to take half of the mix out, fold in some cocoa powder and swirl the two meringue mixes together. …and bake for two and a half hours. And try not to eat them all at once. If you need a bit more support with this recipe, I vlogged on how to make these and you can find that video below.